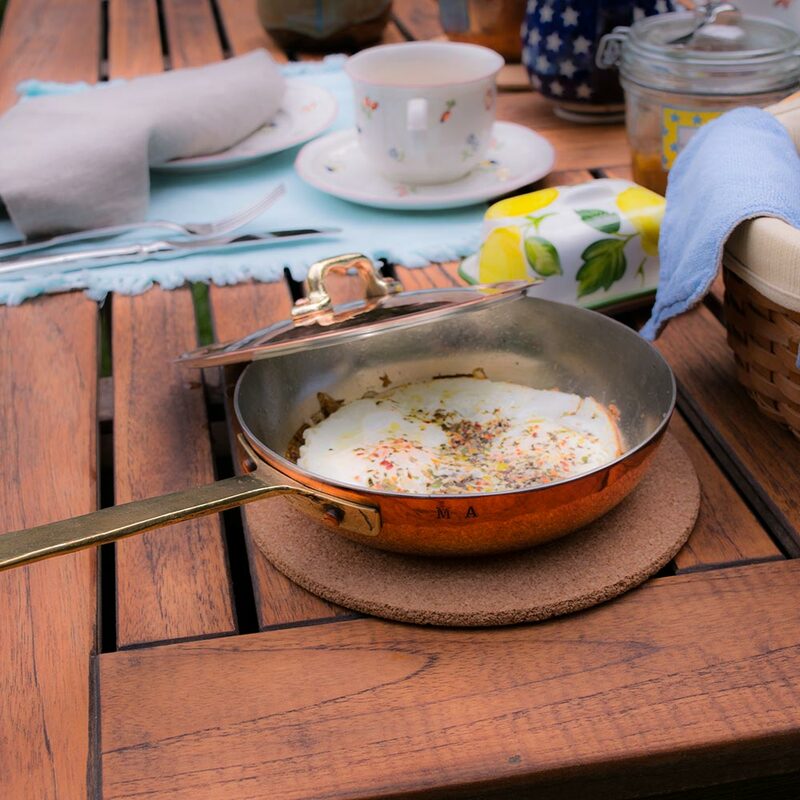 With it's superior heat conductivity, our rounded copper frypan & skillet comes complete with a lid and is ideal for frying as well as sauteing. The rounded transition from the base to the sides of the pan makes working the food with utensils very easy while the extra long brass handle allows handling the pan safe and convenient even with the use of both hands. 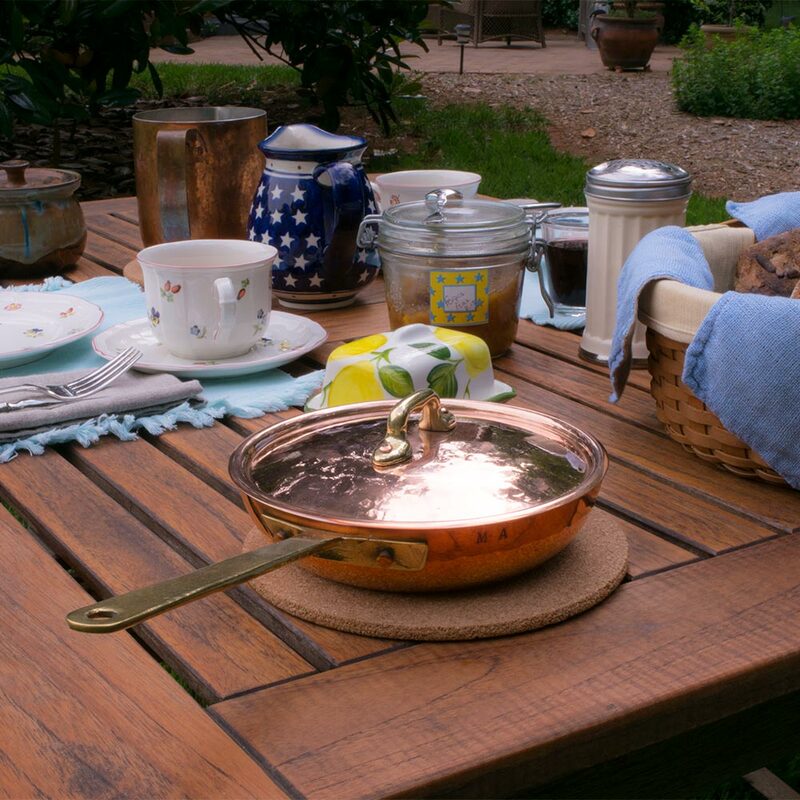 Our copper frypan & skillet as well as the lid is constructed completely by hand using one single sheet of 2.5mm thick pure copper. The tinning is done utilizing the traditional fire-tinning method using only 100% pure tin, handles are made of pure brass and are secured by pure copper rivets. As all of our products, our rounded frypan & skillet with lid is hand-crafted in the Navarini workshop in northern Italy. 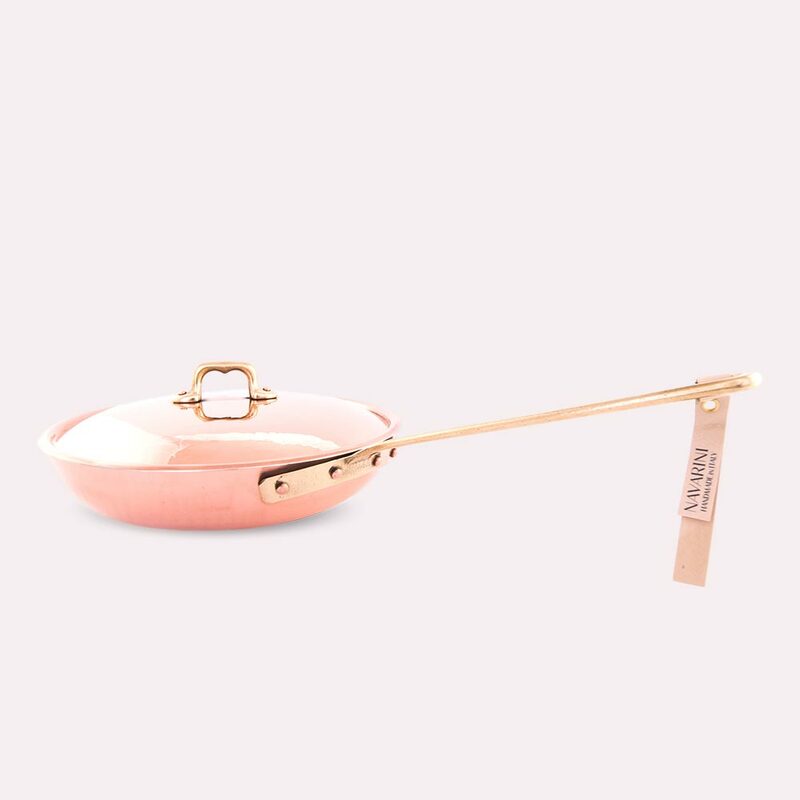 The body as well as the lid of our copper frypan & skillet is constructed from one single sheet of copper ensuring absolute even heat distribution from the base to the sides of the serving pan. The extra long handles are made of high quality brass and secured by pure copper rivets. 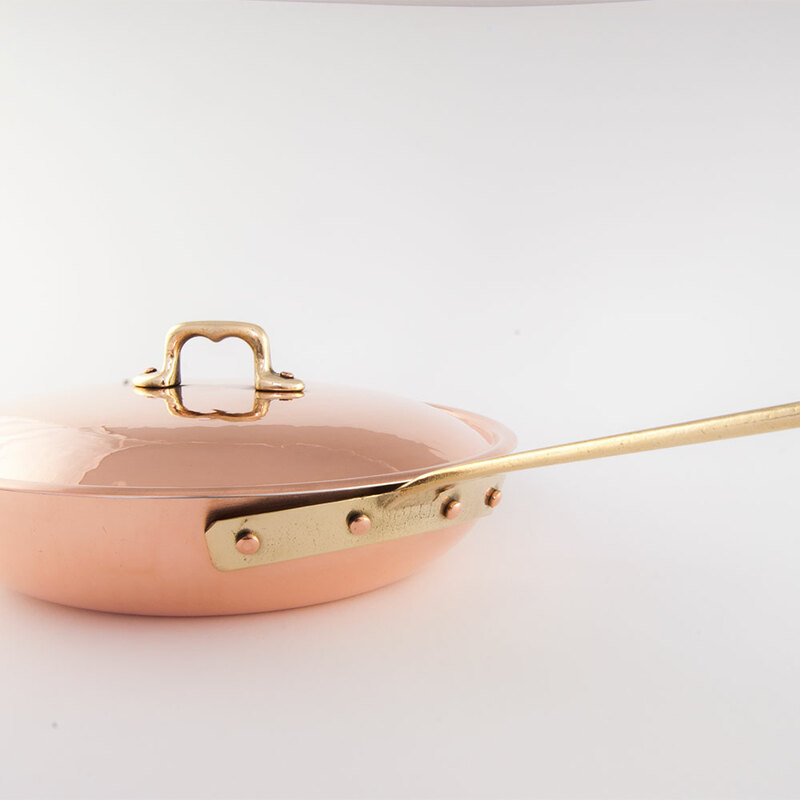 The copper used for our frypan & skillet is pure copper with a thickness of 2.5mm making this copper frypan & skillet equally suitable on gas as well as electric, glass or ceramic stoves. 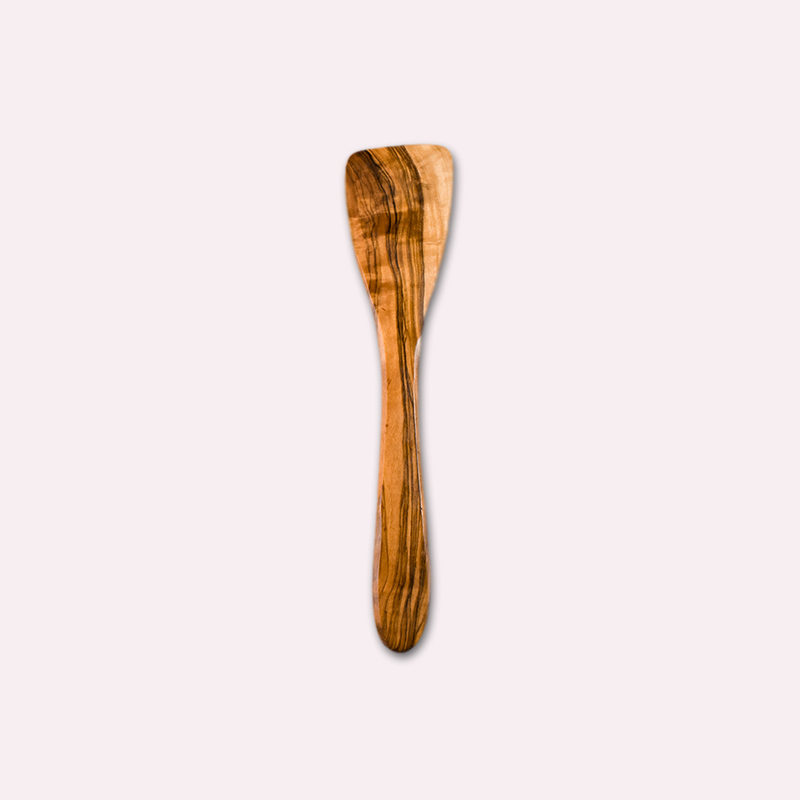 Other type of materials such as stainless steel or aluminum as well as the way some cookware is constructed, might result in air pockets in the material especially the base. Those air pockets would allow heat to concentrate on one spot creating hot spots over time. 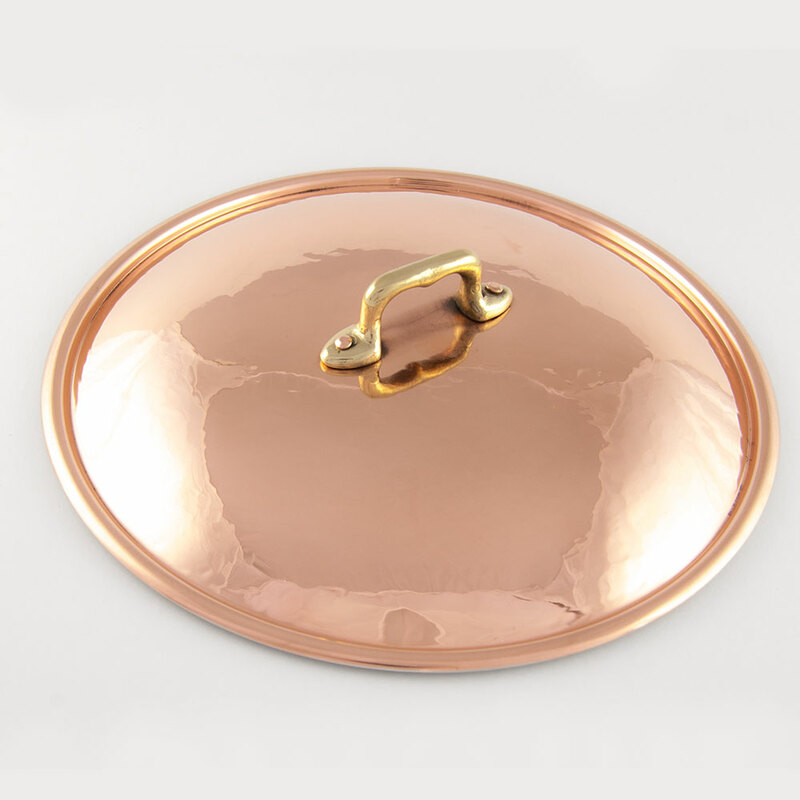 The base of the Navarini copper frypan & skillet will never create any hot spots, air pockets or lose any of its superior heat conductivity as it is made out of one sheet of copper. 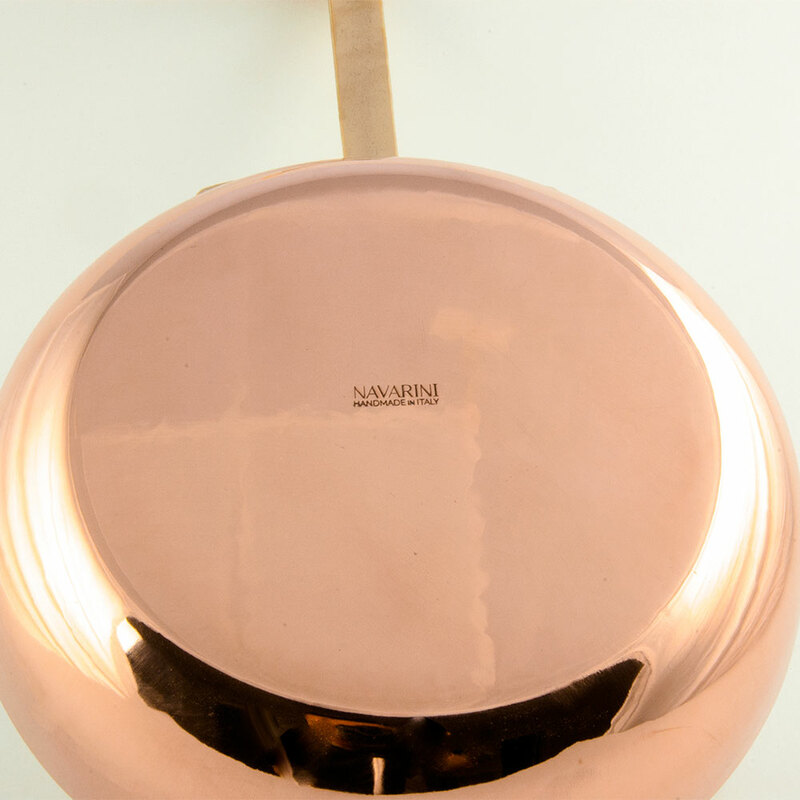 This means that the thermal heat conductivity as well as heat retention will not only be superior to stainless steel or aluminum cookware but will retain its high level of efficiency throughout the lifetime of your Navarini copper cookware. Our copper frypan & skillet features 1 extra long handle allowing to handle the pan easy and safe even with the use of both hands. We only use high quality brass handles on any of our copper products as well as only secure them with pure copper rivets. The body handle as well as the lid handle is secured with pure copper rivets. As most of our larger copper products, our copper frypan & skillet will arrive packed in a beautiful blue "Bottega Navarini"� cloth bag. Not only a fitting bag for our beautiful copper products but already treasured by our customers as a sign of an original Navarini.